The United States military has decided to cancel USD 300 million in aid to Pakistan over its failure to take decisive actions against militant groups, the Pentagon said on Saturday, a fresh blow to the deteriorating ties between the two nations. The move, which needs to be approved by the US Congress, is part of a broader suspension of aid announced in January. US President Donald Trump since assuming office has been tough on Pakistan over its inaction against terror groups. Trump in August last year unveiled his new South Asia policy and asked Pakistan to do more against such groups. The US in January this year suspended more than USD 1.15 billion security assistance to Pakistan, accusing it of harbouring terror groups like the Afghan Taliban and the Haqqani Network within its borders and showing unwillingness to take "decisive actions" against them, a move that affected bilateral ties. Pentagon has now sought Congressional determination to reprogramme USD 300 million of its Coalition Support Fund for Pakistan "due to a lack of Pakistani decisive actions in support of the South Asia Strategy", Pentagon Spokesman Kone Faulkner said. He said the US military would aim to spend the money on other "urgent priorities" before the funds expire on September 30, 2018. With the latest move, the Department of Defence has reprogrammed USD 800 million CSF destined for Pakistan as US Defence Secretary Jim Mattis did not give the necessary certification to Congress that the country has taken strong steps against terrorist groups like the Haqqani network and Lashkar-e-Taiyba. "This is not a new decision or a new announcement," Faulkner said. "We continue to press Pakistan to indiscriminately target all terrorist groups, including the Haqqani Network and LeT in the region," Faulkner said, adding that the USD 300 million aid -- which had earlier been suspended -- should be used elsewhere. 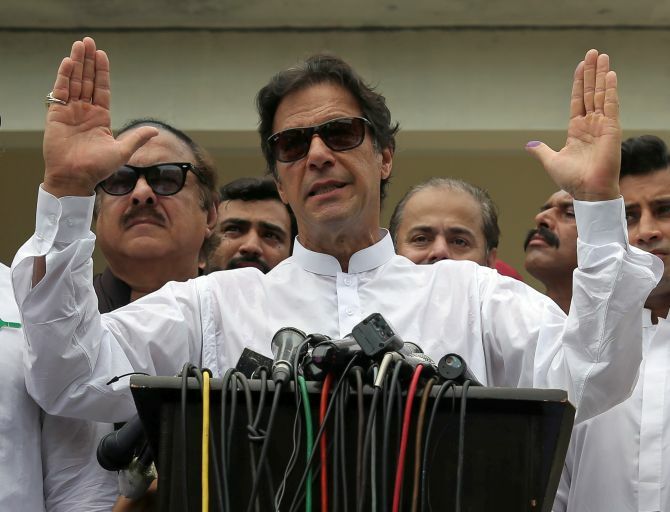 The announcement comes just four days before US Secretary of State Mike Pompeo is due to visit Pakistan to meet Pakistan's new leadership, including new prime minister Imran Khan. The issue of combatting terrorism is expected to be raised by Pompeo during his talks with Khan in Islamabad this week. A row erupted between the two nations following a telephone call by Pompeo to Khan on August 23, as Islamabad took exception to the American version of the conversation that the issue of terrorism was discussed during the call.